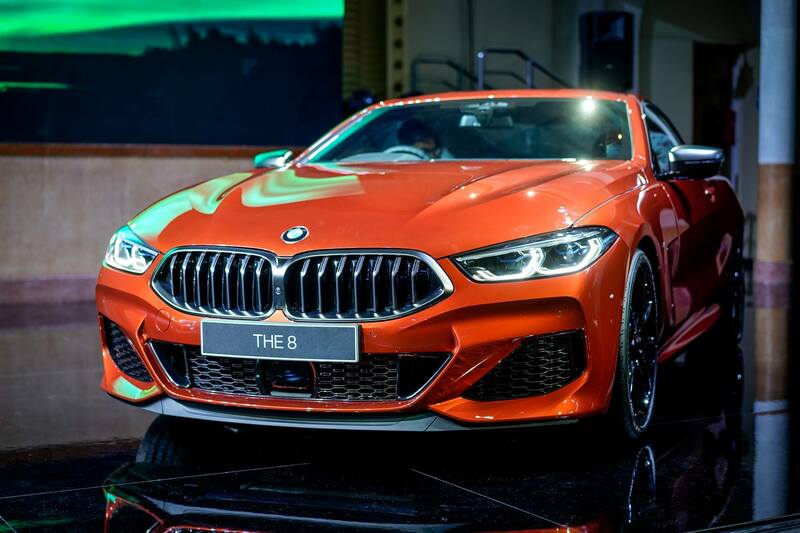 BMW Group Malaysia introduced the BMW M850i xDrive Coupe in Malaysia on 12 March 2018 – marking the arrival of the 8 Series to BMW Malaysia’s portfolio of luxury vehicles. 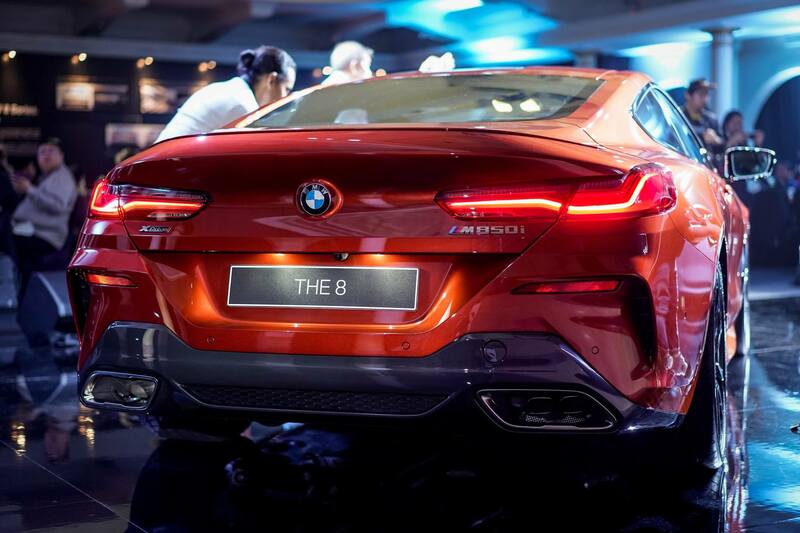 The 8 Series was developed on the race track to achieve supreme agility, precision, and poise, and combines a powerful engine with the BMW xDrive intelligent all-wheel drive system and BMW EfficientLightweight design measures. 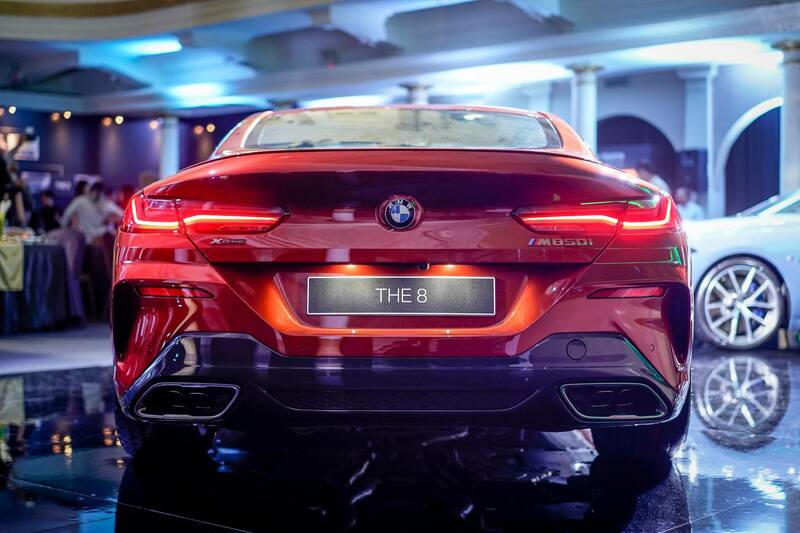 “At the BMW Group, we’ve always had our sights on the future, and the First Generation BMW 8 Series is testimony to that. First introduced in 1989, the luxurious sports coupe was bold and ahead of its time in terms of performance, innovation and luxury. It was the first BMW vehicle to introduce electronic drive-by-wire throttle, Dynamic Stability Control and Integral Active Steering with the use of multi-link rear axle technology. 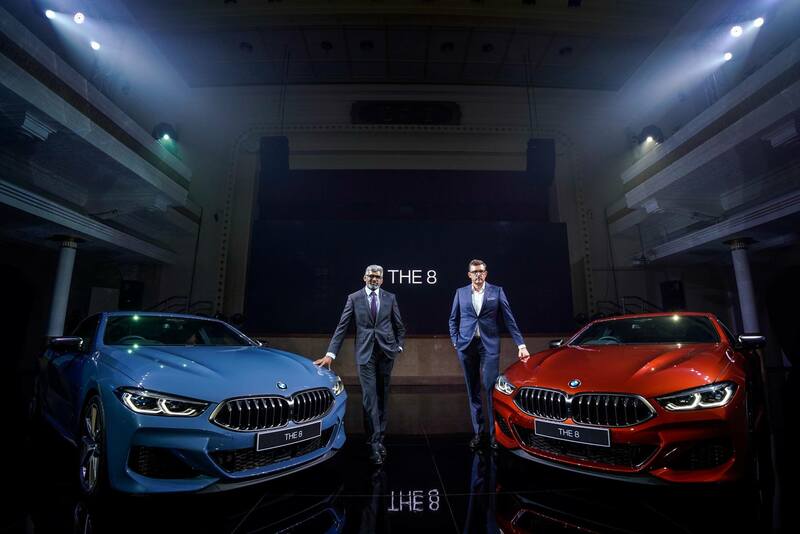 Three decades on, we have taken the future-looking legacy of the BMW 8 Series and we are bringing this luxurious sports coupe into the modern era to set standards for the future.” said Mr. Harald Hoelzl, Managing Director of BMW Group Malaysia (on the right). 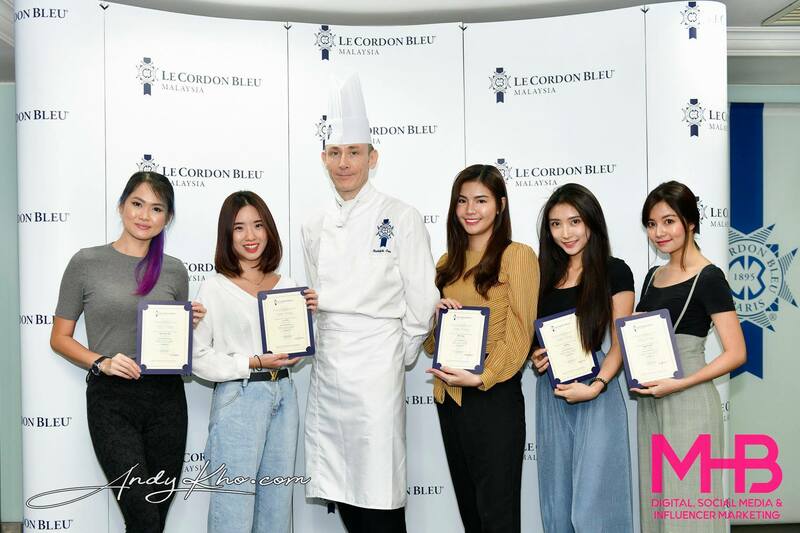 On the left is Sashi Ambi, Head of Corporate Communications of BMW Group Malaysia. 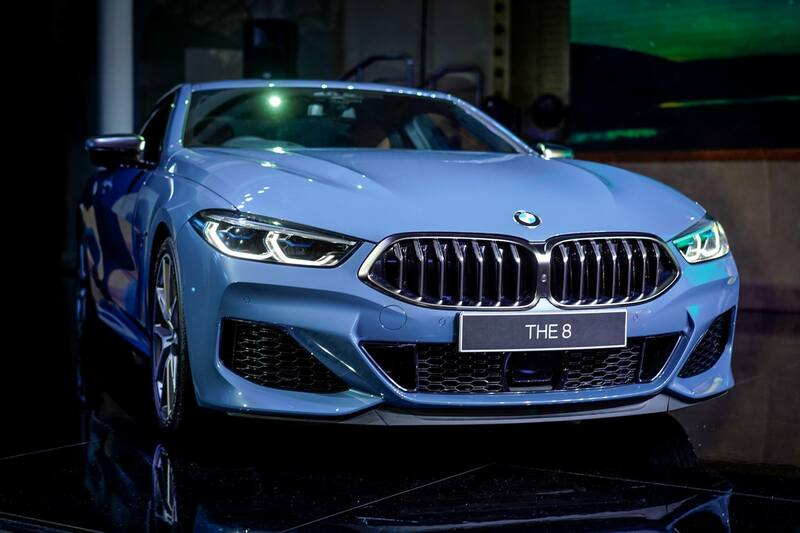 The variant launched in Malaysia was the BMW M850i xDrive Coupe – which BMW proclaims has outstanding performance, emotion-stirring design, state-of-the-art luxury, exceptionally advanced equipment features when it comes to display and control technology, driver assistance and connectivity. The exterior design of the BMW M850i xDrive Coupe features a modern form of sporting appeal with a new styling language focusing on clarity, modernity and emotional engagement. The car’ is certainly very attention grabbing with its low-slung design, an elongated silhouette with a slim window graphic and a roofline flowing elegantly into the rear with distinctive ‘double-bubble’ contouring, a long wheelbase and wide track widths. The BMW M850i xDrive Coupe is a luxury coupe into a sports car brimming with passion and character. The side view is dominated by a dramatic interplay of surfaces using sleek character lines to trace the flow of the air exiting the Air Breathers. Whilst the surfaces curve inwards of the far side of the front wheels, they flare outwards again above the rear wheels. This combines with the strikingly tapered glasshouse to create a muscular shoulder line. At the rear, the interplay of horizontal and diagonal lines emphasises the car’s width and low centre of gravity. The BMW M850i xDrive Coupe comes with superior 19” M Sport brakes along with blue painted M callipers. 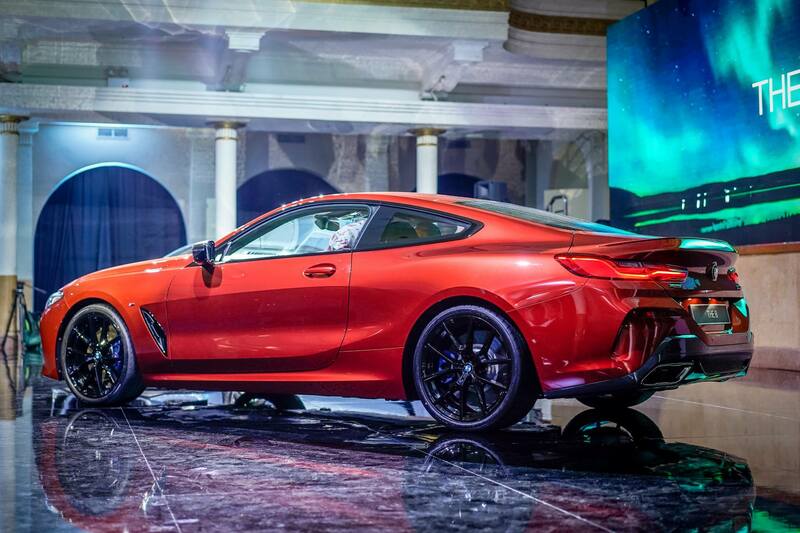 The standard specification for the BMW M850i xDrive coupe also includes 20” M light-alloy wheels in y-spoke style 728 M with mixed tyres. Specifically with the choice of the Sunset Orange exterior colour offering, the option for wheels in the Style 728 M in Jet Black are available. 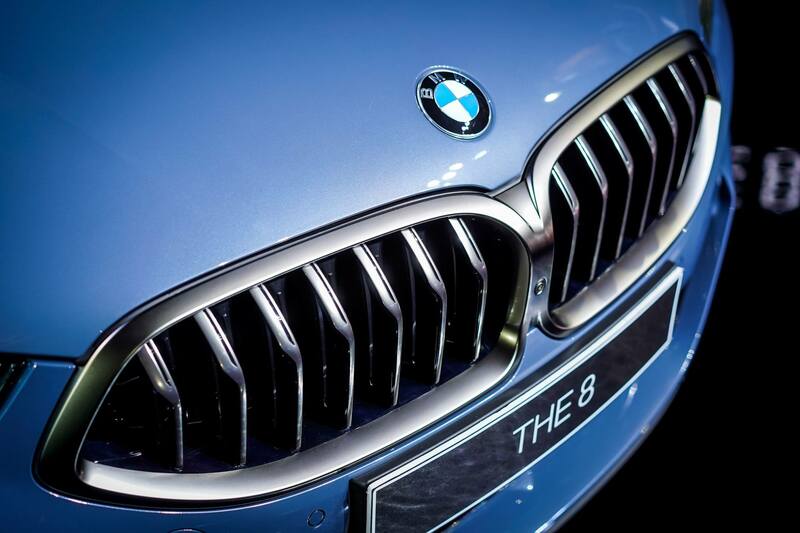 BMW’s trademark Hofmeister kink has also been updated to a tightly-angled version. Carried over from the concept car, the BMW M850i xDrive Coupe features the ‘double-bubble’ which mimics the rush of air rearwards along the roof at high speeds. To reduce the aerodynamic drag of car’s streamlined body, it has an almost fully sealed underbody, active air flap control with adjustable kidney grille slats and Air Curtains including Air Breathers. 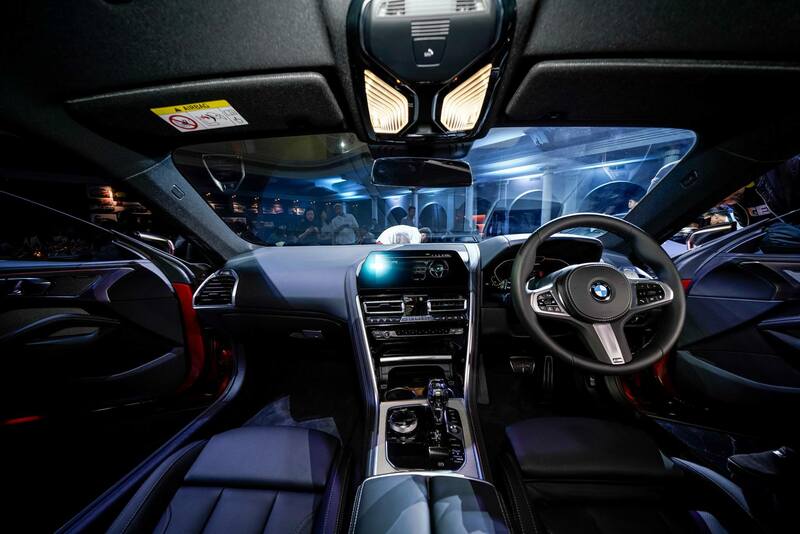 The interior of the BMW M850i xDrive Coupe exudes a relaxingly luxurious ambiance. All lines point lengthways, automatically directing the gaze to the front and emphasising the focus on sporty driving. All control elements are clearly arranged, while a concise surface design lets the high-quality materials really stand out. The use of trim finishers, is restricted to the sports car-style transition between the centre console and the instrument panel. In addition to multi-function seats and the M leather steering wheel, the M Sport package include an anthracite BMW Individual headliner, M pedals, M driver’s footrest and special floor mats to inject the cabin with distinctly sporty flair. The introduction of the BMW M850i xDrive Coupe also marks the premiere of the latest generation of the 4.4-litre eight-cylinder unit that has been radically revised and optimised. Two twin-scroll turbochargers with charge air cooling located within the V-shaped space between the cylinder banks, High Precision Injection, VALVETRONIC fully variable valve control and Double-VANOS variable camshaft timing all form part of the BMW M Performance TwinPower Turbo technology which generates a top speed of 250 km/h. The BMW M850i xDrive Coupe delivers a maximum output of 390kW/ 530hp which is on tap between 5,500 – 6,000 rpm. The maximum torque of 750Nm is available over a wide rev range from 1,800 to 4,600 rpm for prolonged forward thrust. It can do the century sprint in merely 3.7 seconds and posts a fuel consumption of 10.4 litres per 100 kilometres. The BMW xDrive intelligent all-wheel-drive system operates more efficiently than ever before. With its rapid, precise and fully variable distribution of torque between the front and rear wheels, it maximises traction and handles stability even in highly dynamic driving situations. At the same time, the rear-biased set-up guarantees a driving experience for which BMW sports cars are renowned for. The electronically controlled rear differential lock fitted as standard on the BMW M850i xDrive Coupe gives the car an even sportier edge. The locking effect generated by an electric motor limits speed compensation between the inside and outside rear wheel when cornering, making it possible to power out of bends with eye-catching dynamic verve. 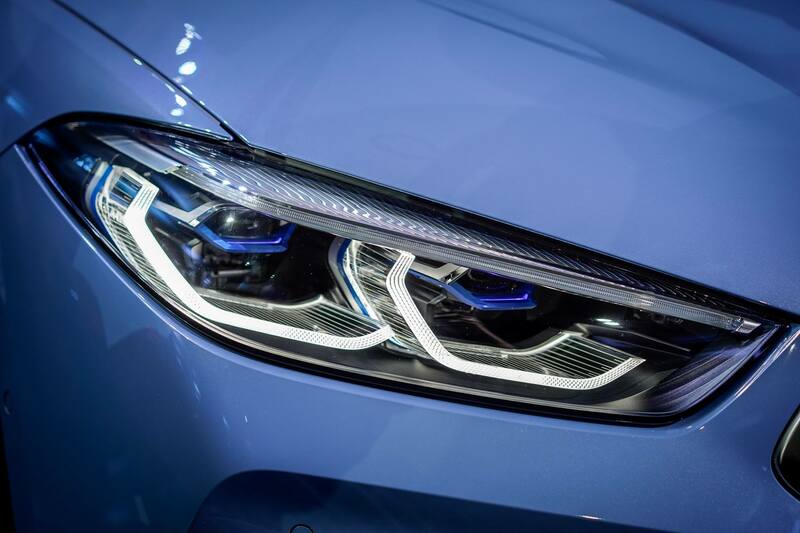 The BMW M850i xDrive Coupe comes standard with the BMW Laserlight – the slimmest headlights of any BMW model to date. The construction principle and tuning of the BMW M850i xDrive Coupe’s chassis are designed to harness the dynamic potential of its powertrain technology. BMW’s designers maximised the sports performance of the car with a combination of optimised weight, a low centre of gravity, well-balanced axle load distribution, ideal wheelbase length and a wide track, plus a rigid body structure and favourable aerodynamic properties. All standard light-alloy wheels are fitted with mixed-size tyres, whose traction-enhancing effect was factored into the tuning of the chassis. 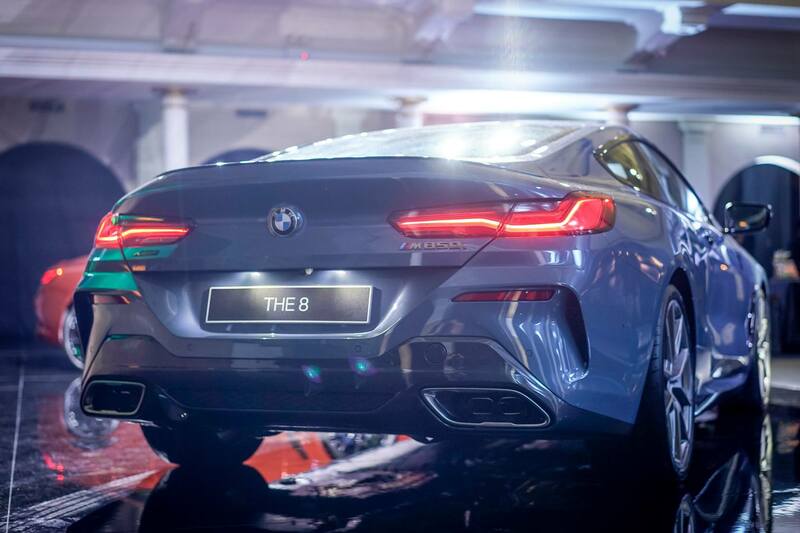 The suspension technology developed for the BMW M850i xDrive Coupe consists of a double-wishbone front axle and a shear panel fitted to the five-link rear axle which optimise stiffness and the chassis components’ connection to the body. The maximised camber settings on both axles, meanwhile, increase power transfer potential at high cornering speeds. In addition to the Adaptive M Suspension, the car also comes standard with Integral Active Steering which reduces the turning circle when maneuvering, increases agility at moderate speeds and optimises poise and assurance when changing lanes and cornering at high speeds. The BMW M850i xDrive Coupe comes with active cruise control with Stop & Go Function, with Driving Assistant Professional as a standard. The driver assistance includes Lane Departure Warning, Lane Change Warning, Pedestrian Collision Warning, Crossing Traffic Warning (front and rear), Emergency Stop Assistant, steering and lane control assistant, Lane Keeping Assistant with active side collision protection and Evasion Aid which now reacts to pedestrians. The BMW Live Cockpit Professional comes as standard with the latest-generation display and control concept consists of a high-resolution instrument cluster behind the steering wheel with a screen diagonal of 12.3” as well as a 10.25” Control Display which run on the new BMW Operating System 7.0. Further components of the BMW Live Cockpit Professional include an adaptive navigation system, a hard-drive based multimedia system with 20GB of memory, two USB ports, Bluetooth and WiFi interfaces. Drivers can benefit from the car’s intelligent connectivity capabilities thanks to its built-in SIM card and the unlimited data volume, which allow them to use Intelligent Emergency Call to automatically summon swift assistance in an emergency and receive regular updates for the navigation system’s maps. Other services include Concierge Service and Remote Services. Making its debut in the BMW M850i xDrive Coupe is the BMW Intelligent Personal Assistant – an intelligent, digital character that responds to the prompt “Hey BMW”. The BMW Intelligent Personal Assistant learns routines and habits, and is subsequently able to apply them in the appropriate context. 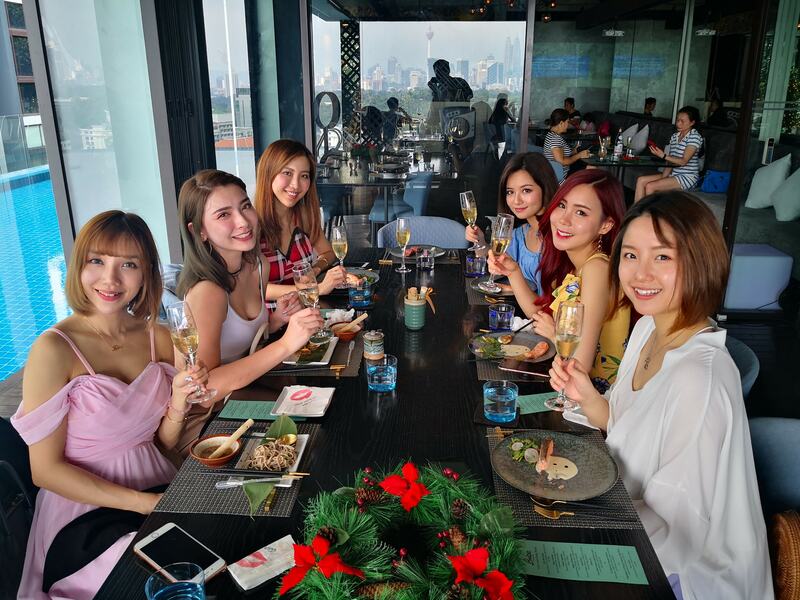 In addition to ensuring there is always a genuine BMW professional on board, capable of explaining the different functions, the assistant awaits the driver’s every command, is always there to assist them and even provides casual conversation. One unique feature over other digital assistant is that drivers can give it a name, for example, “Hey Jamie”, to lend even greater individuality and personality. The BMW Intelligent Personal Assistant will benefit from constant technical upgrades and be able to learn more preferences and favoured settings. Based on the driver’s favourite settings, it can even activate a combination of them to enhance well-being. For instance, “Hey BMW, I feel tired” triggers a vitality programme that adjusts the lighting mood, music and temperature, among other things, in order to make the driver feel more awake. Also for the first time, the BMW M850i xDrive Coupe features the BMW Digital Key. The Digital Key employs Near Field Communication (NFC) technology to allow the car to be locked and unlocked from a smartphone. The smartphone simply has to be held up to the door handle to open the door. Once inside, the engine can be started as soon as the phone has been placed in the Wireless Charging or smartphone tray. Via the BMW Connected App, the Digital Key enables the driver to share the key with up to five people. 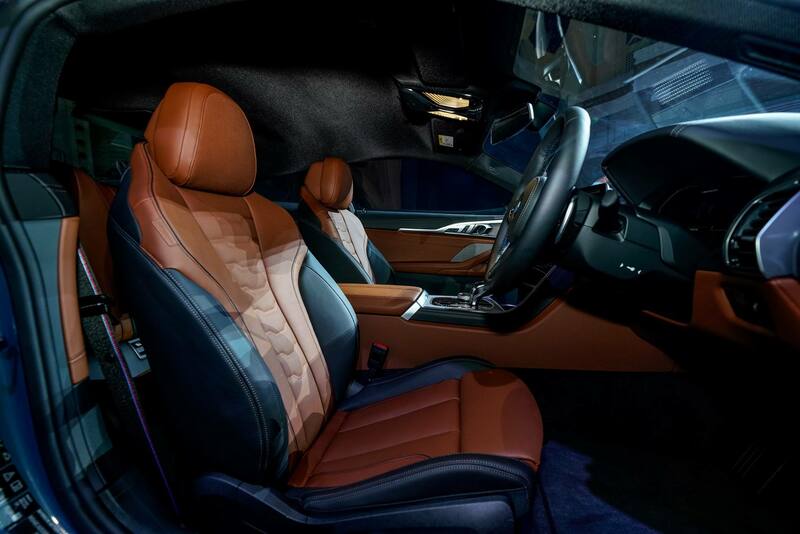 The BMW M850i xDrive Coupe comes in Carbon Black metallic, Black Sapphire metallic, Sonic Speed Blue metallic, Barcelona Blue metallic, Sunset Orange metallic and Mineral White, matched with Black, Cognac or Ivory White BMW Individual Merino full leather trim sports seat. It will be available at all authorised BMW dealerships nationwide from Friday, 15 March 2019, or you can visit www.bmwbethefirst.com.my to pre-book. With the Balloon Financing Plan from BMW Group Financial Services Malaysia, the BMW M850i xDrive Coupe can be owned with monthly installment plans starting from RM 12,418.00 (based on estimates of an 80% loan on a five-year tenure). 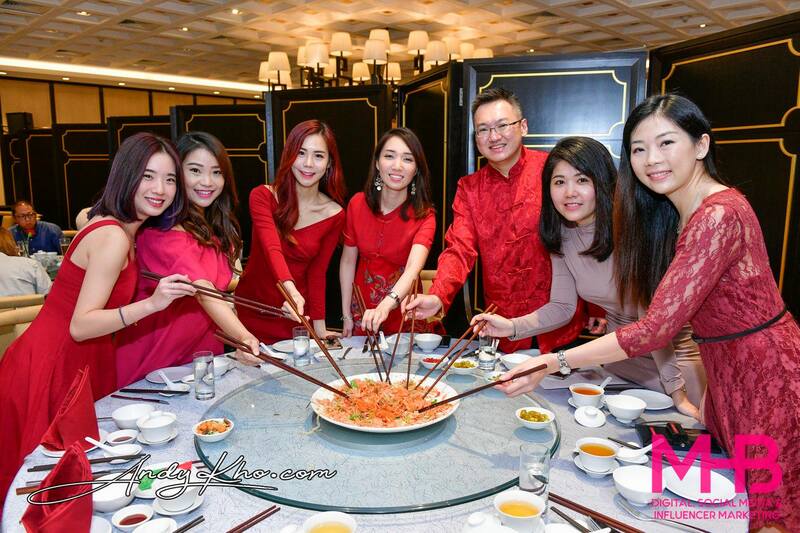 Photos courtesy of BMW Malaysia.